Edinburgh coach Richard Cockerill sprang no surprises as he rebooted his team with ten returning internationalists ahead of tonight’s crucial Heineken Champions Cup clash with Pool 5 leaders Newcastle Falcons at BT Murrayfield. Scotland stars Blair Kinghorn, Darcy Graham, Henry Pyrgos, Stuart McInally, WP Nel, Ben Toolis, Grant Gilchrist, Jamie Ritchie and Hamish Watson all go straight back in following the autumn Test series, while No. 8 Bill Mata also starts after helping Fiji to a famous win over France two weeks ago. Cockerill admitted that re-integrating players after a month-and-a-half of international duty can be a challenge but felt a match like tonight’s called for nothing less than the best team at his disposal. “They have had a week off and we are in Europe and want to test ourselves to see what we can do,” said the coach. “You pick your best team as best you can. There are a number of boys who would have come into the mix if they were fit but by and large that is the best team we can pick. It is a two-pronged fresh test for Cockerill as there have been more Edinburgh players earning international recognition and this year it is the elite Champions Cup providing the post-autumn challenge. “It is a new experience for us having so many guys away then coming back into what is a very important period for us,” he said. “Last year we had the Challenge Cup which was a bit easier to manage and we had less players away. The Newcastle Falcons’ side named has a few more surprises with some regulars not in and others, like Toby Flood, named on the bench. Of the Kingston Park club’s Scottish contingent, centre Chris Harris and flanker Gary Graham both start. “Clearly they have some injury issues,” said Cockerill. “The [English] Premiership is very unforgiving. They have won their last two games and are still bottom of the table. 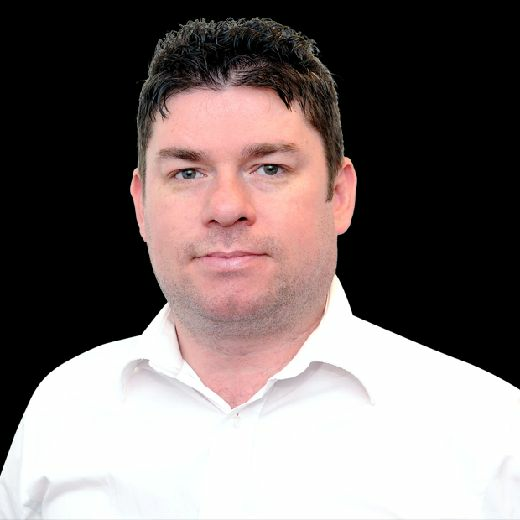 “They have been in good form in the last couple of weeks, were on good form in the English Prem Cup, but they sent a very mixed side to Toulon and won so I am not reading too much into it. “Dean Richards and John Wells are good coaches and they will be very combative and make us work hard, and we know if we don’t get it right they are a good enough side to beat us. 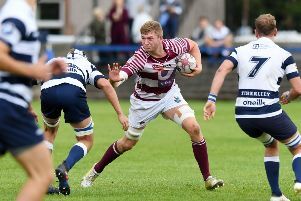 One Newcastle player worth looking out for is young wing Adam Radwan who was hugely impressive in the 23-13 defeat by Edinburgh at Kingston Park in an August pre-season friendly. The 21-year-old from Hartlepool showed frightening pace that evening and scorched in for a sensational consolation try. “He caught my eye and he ran through us pretty easily at times,” said Cockerill. “We’ve been preparing for Nicky Goneva and Sinoti Sinoti, so we know they’ve got threat there. Cockerill said he wasn’t sure if former Edinburgh man John Hardie would come in for next weekend’s return in Newcastle after not being added to the European squad this week, but expects the Scot who is in the No. 7 jersey to be a motivated opponent. Cockerill also revealed he had spoken with fellow Leicester Tigers legend Richards yesterday morning and was looking forward to again pitting himself against his friend. “Dean’s an experienced coach and he’s got a good rugby brain. He’s a wily old fox isn’t he?” said Cockerill. “Just because they’ve picked what some people would say is a less threatening team, we’ve got to make sure that we’re right. 15. Blair Kinghorn; 14. Darcy Graham, 13. James Johnstone, 12. Chris Dean, 1. Duhan van der Merwe; 10. Jaco van der Walt, 9. Henry Pyrgos; 1. Pierre Schoeman, 2. Stuart McInally (c), 3. WP Nel, 4. Ben Toolis, 5. Grant Gilchrist, 6. Jamie Ritchie, 7. Hamish Watson, 8. Bill Mata. Subs: 16. David Cherry; 17. Allan Dell; 18. Simon Berghan ; 19. Callum Hunter-Hill; 20. Luke Hamilton; 21. Nathan Fowles; 22. Simon Hickey; 23. Juan Pablo Socino.